Have you ever opened your refrigerator so stuffed with food and containers that you’re afraid everything will avalanche out? Sometimes, it’s just easier to leave the mess alone than to go through all of your expired food. But it doesn't have to be that way - you can take control of your food storage space in the fridge very quickly if you really put your mind to it. 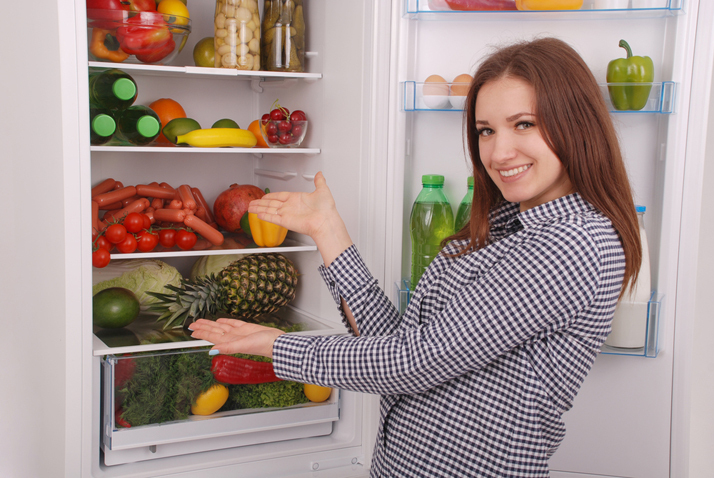 Many refrigerators are choked with containers of leftovers, which may or may not ever be eaten. Once you clear out all of these, you'll be left with just the fresh food that you really want to store. All refrigerators have built-in features which allow you to customize its layout according to the kinds of items you'll be storing. This includes various movable racks, crisper drawers, and temperature-controlled compartments that you can make good use of. One of the best ways to make optimum use of space is by placing all tall items together, so as to avoid wasting vertical storage area. One of the worst problems with a disorganized refrigerator is that you can't see beyond the front row of stored foods. By placing the tallest items toward the rear, you'll be able to easily see all the other foods before them. You can further refine this by sorting together all similar foods such as condiments, meats, liquids, and fruits/vegetables. For those food items having expiration dates, you can easily create a magnet board on the fridge, or even on your mobile device, which tracks those dates, so you won't have milk, salad, or cottage cheese expiring without you even realizing you had some stored. If you have a really modern fridge with a touch-screen application, you can manage all this and a lot more, to keep your refrigerator up to snuff.